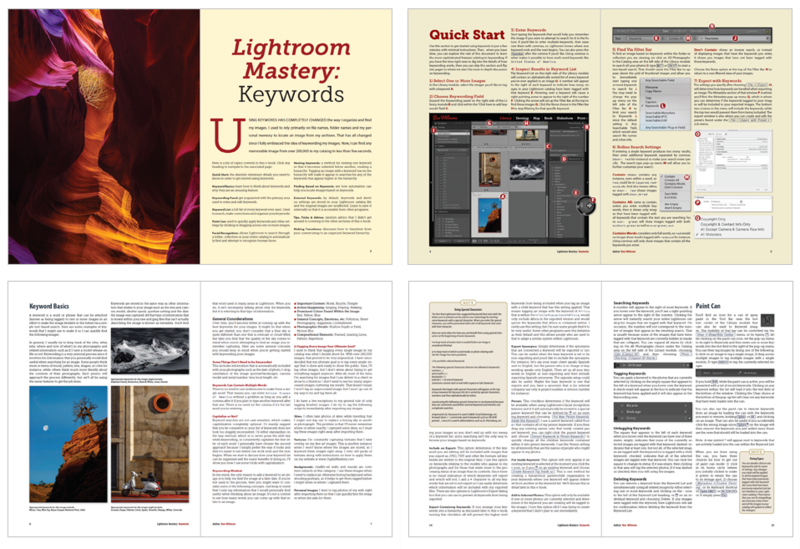 Lightroom Mastery Keyword Set Now Available! Hi gang! I hope you all had a great weekend! I want to take this opportunity to make an exciting announcement. 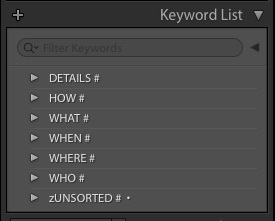 It’s been a long time in the works, but my Lightroom keyword set is finally complete and available for purchase! If you are familiar with my teaching and my work, you know that I adore Adobe Lightroom and use it every single day. One of Lightroom’s incredibly useful features is the way it allows you to keyword your images so they can be easily searchable in the future. I have over 200,000 images in my Lightroom catalog, and I can find any image that comes to mind in five seconds or less. And no, that’s not an exaggeration. The reason I can do this is that I have a very organized system for applying keywords. I have spent over two years creating and implementing a keyword set that is organized using a hierarchal system and has allowed me to completely streamline the way I tag and search for images. I’ve become a digital neat freak, if you will. I know that most people don’t want to invest that much time into creating such a system, so I am offering my system up to you. Not only do you get my complete keyword set, but I’ve also written a detailed, 30-page e-book that will teach you about keywords and how to use them. The main focus of the e-book is to make your images searchable by applying keywords. Regardless of whether you have no idea what a keyword is, or if every image you’ve shot has been tagged with a keyword, my approach will change the way you think about this invaluable feature. In the book, you’ll learn how tagging a single keyword to an image can suddenly make the image findable when searching for over a dozen different keywords. That means tagging an image with “Cathedral” will make it show up in searches for “Church,” “Architecture,” “Religious Structure” and more. Keyword Organization You’ll see how organizing your keywords can have many benefits and give you a different way of exploring your image catalog. Instead of viewing your images by folder, collection, or search, you can now browse based on subject matter. Special Characters You’ll see how using special characters can change the way you approach keywording and how capitalization can shift the way you interpret your keyword list. Smart Collections Using Smart Collections, you’ll be able to quickly locate images that can be adjusted remotely, determine which images should be keyworded and which images have larger, hard drive-hogging previews than may be unnecessary. As I said above, I’ve been working on this keyword set and e-book for well over a year. Every time I thought I was finished, I would come up with another way to extend the functionality… and push the completion date further away! So I apologize to those of you who have been inquiring on when this set would be ready, but rest assured that the delay has resulted in a much better final product! I’m really excited to release this set, not only because it has taken forever to create, but because it has dramatically improved the way I organize, sort and search for images in Lightroom, and I would love if it could help you in the same way! Click here to learn more or to purchase the keyword set and e-book. Ben I can never thank you enough for what you have done for me. I would still be trying to buy those so called videos. That promise you so much and delivery nothing. I can honestly say. That I have not bought any of your courses and not learned something. And this Keyword set. Was just what I needed. Thank you Gene Flegal.